This past Wednesday (October 7) marked the celebration of the fifteenth annual International Walk to School Day. Schools in more than 40 countries across the globe participated in the event—including the U.S., Turkey, Brazil and China—encouraging students to walk with friends or parents to school instead of taking private vehicles. International Walk to School Day started in 2000, when the U.S., Canada and United Kingdom agreed to formally recognize their efforts to promote walking to school as an alternative to cars. Since then, an increasing number of countries and communities have joined the event, with each year attracting even greater numbers than the last. Because individual schools make the choice to participate, each community shapes the magnitude and duration of their Walk to School Day—with many collaborating with local nonprofits. SafeKidsWorldwide, for example, has been teaming up with FedEx and urban schools to educate children about safe ways to walk to school for the event. Major events like International Walk to School Day help to introduce healthy alternatives to motorized transport to kids, with the hopes of inspiring more children to walk on a routine basis. Incorporating regular physical activity for kids is becoming increasingly important—the World Health Organization (WHO) identifies childhood obesity as “one of the most serious public health challenges of the 21st century,” with the majority of obese children living in developing countries. While International Walk to School Day seems like a short-lived celebration, the dialogues and partnerships that the event has created over the years yield a massive impact. The school districts hosting the event reach out to their local communities, communicating with parents and guardians about how to safely get to school. 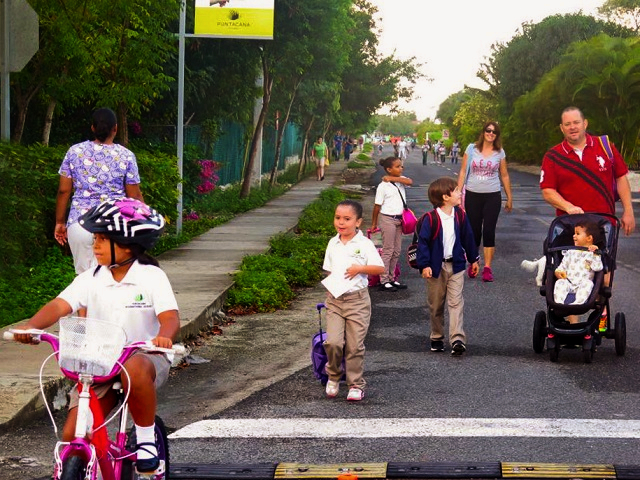 One school in West Palm Beach, Florida even reached out to its local city planning group to identify the best and safest routes to school for walkers. While walking to school helps children lead healthier, more active lives, their safety hinges on cities being designed with road safety in mind. Children are far more vulnerable to traffic collisions than adults, and often take a back seat in urban planning to private vehicles and commuters. To make the walk safer for children headed to school, cities can focus “traffic-calming” measures, such as slowing down traffic, and their built environment. 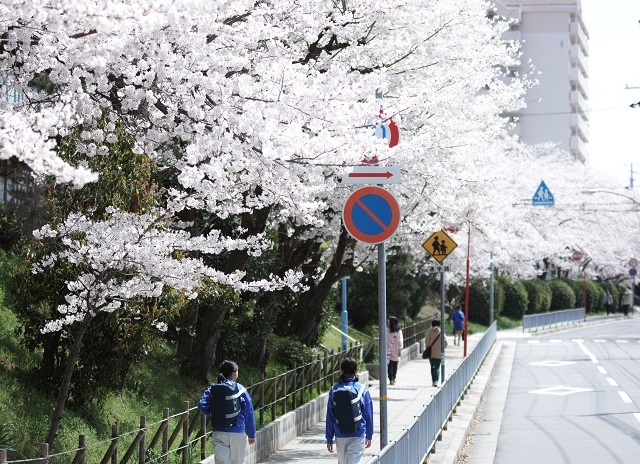 South Korea, for example, was able to reduce traffic crashes involving children by 32 percent through its School Zone Improvement Project, which created safe routes from children’s homes to schools and childcare facilities. City officials used speed bumps, fences, banned street parking on roads surrounding schools and installed new traffic signals—all to great effect. Combined with comprehensive measures such as traffic safety regulation and school bus operation, Korea has successfully reduced its child traffic fatalities by 95 percent in a little more than two decades. Encouraging children to walk to school goes hand in hand with good urban design that prioritizes children and pedestrians over cars. Seizing International Walk to School Day as an opportunity to foster change, on Wednesday Jean Todt, the United Nations Special Envoy for Road Safety, called on countries to make their roads safer for children. “Road traffic crashes are today the number one killer of children aged 15-29. And without urgent action, they will soon be the number one killer of those aged between 5-14” he said. Todt also quoted the WHO, explaining that 500 children are killed each day in road crashes globally. Todt’s message falls in line with the UN’s, as this year’s UN Global Road Safety Week focused largely on children’s safety.